While walking the grounds of the Brighton Royal Pavilion in search of the reflective pond I knew was there I found this curious seagull gazing into the pond. I think he was thinking fish lived there. 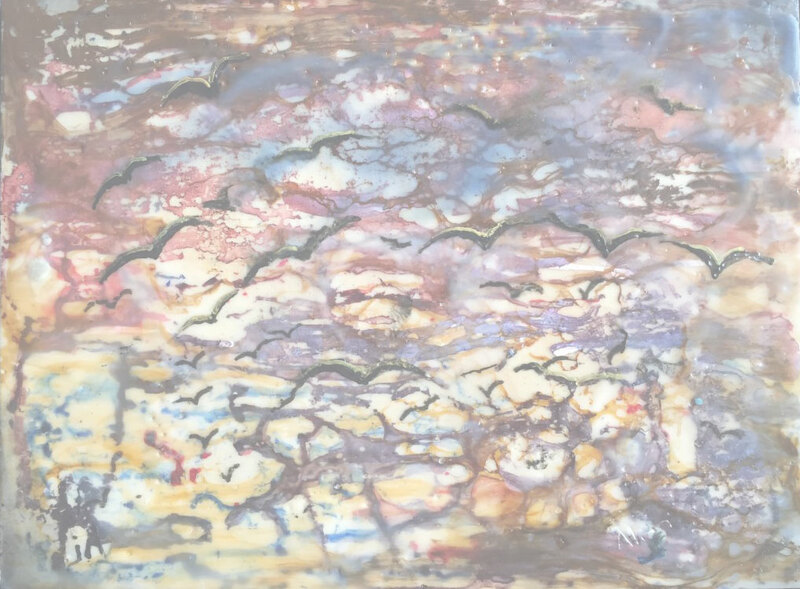 I took advantage of his vigilance to take the photo and have used it as inspiration for this encaustic piece. I loved the fact that the reflections of the Royal Pavillion as well as the waterlilies were included. This is a terrific piece Judy. Well done! !